Party Poker has announced provisional dates for this year´s MILLIONS Online and confirmed it will carry the same $20 million prize pool guarantee as last year. 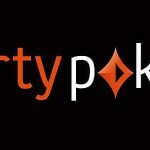 Back in January, Party Poker announced its MILLIONS Live dates for 2019 and several changes to the tour, which included doubling the price of the Main Event buy-ins and changing them from multi-entry tournaments to freezeout events. It looks as if the changes are popular, as 439 players entered or qualified for the recent MILLIONS Live Main Event in South America – leaving Party Poker with a fairly modest overlay of $61,000 ($11,700 of which will have been covered by tournament entry fees). It will be interesting to see if the next MILLIONS Live Main Event in May is equally as well attended, as it is due to be held in Montreal where – due to the smaller catchment area for online players – there is likely to be fewer online qualifiers. Judging by the online satellites currently taking place at Party Poker, it certainly looks easier to qualify for the CAD$5 million tournament in Montreal than it was to qualify for the Main Event in Brazil. However, there´s still time for that to change. We don´t know yet whether the freezeout format will be applied to this year´s MILLIONS Online event, and we don´t know for sure the event will be held between November 24th and December 4th (as these are only provisional dates and clash with the conclusion of the MILLIONS World Live Main Event), but we do know that this year´s MILLIONS Online will have the same $20 million prize pool guarantee as last year – according to a recent announcement on the Party Poker website. The announcement also hinted that the MILLIONS Online event would be the headline tournament in an “online festival” featuring tournaments across a wide range of buy-ins. It´s too early to speculate there will be “midi”, “low”, “mid” and “High Roller” MILLIONS Online events similar to how Party Poker runs its PowerFest series, but it wouldn´t be too much of a surprise considering how Party Poker is quickly becoming the leading site for valuable online poker tournaments. This is particularly true when it comes to qualifying for valuable online poker tournaments. In the run up to last year´s MILLIONS Online event, Party Poker gave away millions of dollars in seats via added value satellites and random promotions. We expect much the same again this year, especially as the site is being very generous with its satellite program for the current PowerFest tournament series. It may be very worthwhile keeping an eye on the satellites tab in the poker client over the coming months. The MILLIONS Online event may still be more than seven months away, but you don´t have to wait that long to become a big winner at Party Poker. 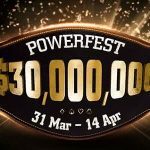 At the time of writing, we are midway through PowerFest IX, and although there has been a number of big winners in the past week, there is going to be plenty more this coming week – especially next Sunday, when there are four Championship events scheduled with prize pool guarantees of $1 million or more. The best way to take advantage of the big guarantees is to win your seat via one of many undersubscribed satellites. 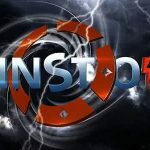 The PowerFest satellite path starts with buy-ins of just $0.55 – or, if you can´t be bothered sitting through long drawn out satellites, simply play the PowerFest SPINS game to be in with a chance of winning a PowerFest tickets in minutes. It´s all happening at the site right now, so be sure to visit Party Poker today to spot the best satellite opportunities for MILLIONS Live and PowerFest.